Aaron Judge is the next big thing in baseball – both literally and metaphorically. Not only is he 6-foot-7 and 280+ pounds, but he’s been a star for the New York Yankees through the first month of the season. Judge leads the AL in home runs, RBIs, slugging percentage, and OPS in his first full season. Not only is he the runaway leader for rookie of the year, but he could also be an MVP candidate as the Yankees are surprisingly battling for first in the AL East. But most importantly above all, Judge has a signature home run call from one-of-a-kind Yankees radio voice John Sterling. The Yankees Twitter account shared Sterling’s home run call for Judge after another dinger last night and… it’s actually pretty good! There’s even now a hashtag for Judge. That’s not just one, not two, but three for the price of one! Ok, the last one might be a bit of a stretch, but the first two are very fitting. Sterling is an AA favorite not only for the material he provides but for his unique home run calls where various players on the Yankees receive their own home run catch phrase. Some are etched into the memory bank while others are a little out there. There’s actually websites like this one that chronicle the entire list of Sterling home run calls for everyone from Alex Rodriguez to Brian McCann. 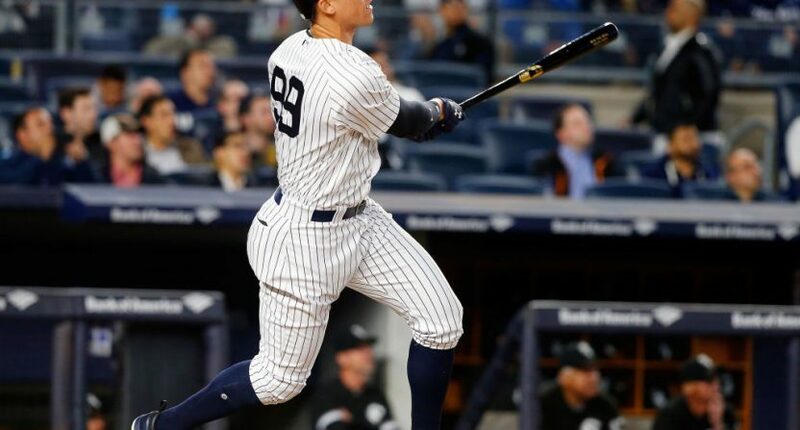 You’ll want to check it out for such gems as “Never nervous Yangervis” or “The Grandy-man can.” Maybe one of these days we can get a Judge Dredd inspired call for the newest Yankee slugger.